The Galaxian Wars have begun, a tournament that pits Saint against Saint! As the rest of the world eagerly awaits the first match, Shoko mourns the loss of her sister, Kyoko. 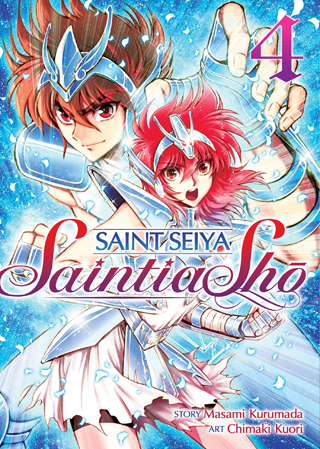 In an attempt to honor Kyoko’s last wishes, Athena tells Shoko to give up being a Saintia and live a normal life. Will Shoko take Athena’s advice, or will she wear her sister’s Cloth once more?